Do you love working out? Do you want to get better with overall strength/conditioning/mobility? Are you someone interested in Olympic Lifting and Crossfit? Look no further! Here at Broad Ripple Fit Club, we can help you in all areas of fitness! Don’t pay for more than one gym membership when you can get all of it here! USAW National Coach and multiple Regional level Athlete, Jeff Edwards can not only shape you into the athlete you want to be, but can help build a healthier lifestyle, safely. 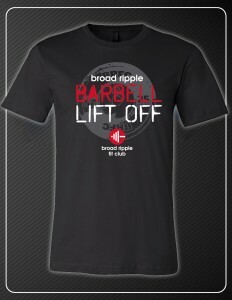 The Broad Ripple Barbell Lift Off Registration is LIVE!